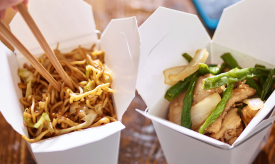 LONDON – Today, the online takeaway food market offers a great number of various food delivery options. The online takeaway market is witnessing constantly expanding choice of ready-to-use food and also enhancing convenience for consumers. Furthermore, this market has attracted numerous investors globally as it has a promising future. Some of the most prominent companies active in this sphere comprise GrubHub, Inc., The Delivery Hero Group, Takeaway and Just Eat Plc, to name a few. The topical research study “Global Online Takeaway Food Market Outlook 2022” worked out by Rockville Research offers a reader access to a comprehensive guide to the world’s market for online takeaway food and also covers the current situation across the most prominent regional and country markets. This research report provides in-depth insights into the historical development of the examined market, describes the current scenario and highlights the market dynamics with a close look at the key market growth restraining and fueling factors. Besides, this report points out and discusses the major market growth challenges and emerging lucrative opportunities, and canvasses the top market development trends. This research publication also delves into the competitive environment in the online takeaway market, identifies the top companies active in this sphere and uncovers vital details on their performance and recent initiatives. In addition, this report presents an all-round future outlook for the online takeaway market development with forecasts up to 2022. Many other in-demand research reports by this publisher are provided in the Rockville Research catalogue at MarketPublishers.com.